Telescope LST-1 in the Roque de los Muchachos Observatory (ORM), La Palma. Credit: Ivan Jimenez Montalvo. The prototype of the four large telescopes that will be part of the North CTA network, called LST-1, is inaugurated at the Observatorio del Roque de los Muchachos on 10 October 2,018 at the Observatorio del Roque de los Muchachos. The event will be attended by political authorities and senior representatives of scientific institutions from Japan, Germany and Spain, the main countries involved in its construction. On 10 October 2018 at 14:00 hours, at the Observatorio del Roque de los Muchachos (Garafía, La Palma), a new scientific infrastructure, the LST-1, a prototype telescope large (will open Size Large Telescopes) is expected to be part of the Cherenkov Telescope Network (CTA acronym). This network will be dedicated to the observation of high energy gamma and consist very over 100 telescopes, three different sizes, located in the two hemispheres rays. Simultaneously with the opening throughout the week various scientific meetings related to astrophysics that studies the most energetic phenomena in the Universe they will be held. 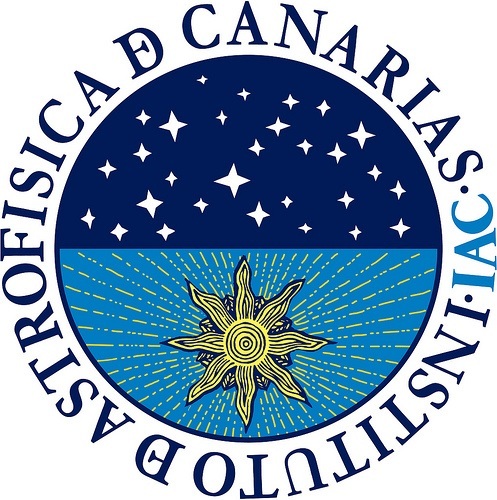 Among the 200 guests attending the opening ceremony are representatives of the various centers that are part of the CTA consortium and sub-consortium building the LST, members of institutions using the Roque de los Muchachos Observatory (ORM) and a broad representation of political authorities. The ceremony will be conducted by the administrator ORM, Juan Carlos Pérez Arencibia, start with opening speeches. The event will intervene (in this order): Rafael Rebolo, director of the Institute of Astrophysics of the Canary Islands (IAC); Federico Ferrini, managing director of LtOrd; Masahiro Teshima, director of the Max Planck Institute for Physics in Munich, principal investigator and spokesman collaboration LST; Takaaki Kajita, director of the Institute for Cosmic Ray Research (ICRR Tokyo) and 2015 Nobel Prize in Physics; Masashi Haneda, vice president of the University of Tokyo; Takeshi Nakajima, Consul General of Japan in the Canary Islands; Anselmo Pestana, President of the Cabildo Insular de La Palma; Lady Nieves Barreto, Minister of Territorial Policy of the Government of the Canary Islands; and Pedro Duque, Minister for Science, Innovation and Universities of the Government of Spain. Roque de los Muchachos Observatory in Garafia, La Palma (Gran Canaria) Spain. After the speeches, there will be cutting ceremony to multiple tape, which the mayor of the municipality of Garafía, Yeray Rodriguez will be invited. President of the Steering Committee of the LST, Manel Martinez, will be in charge of conducting the event, to be held following a Japanese ritual in which participants, armed with scissors and white gloves shall stand and line in front of a tape red with rosettes and cut at the same time, each of the sections. The LST, a mirror 23 m in diameter, are the largest telescopes CTA network. The LST-1 is the prototype of such four telescopes to be installed in the North observatory, located in ORM, and are surrounded by various telescopes 12 m diameter or Medium Size Telescopes (MST). In Southern Observatory in Chile, and these two types of telescopes, it is installed a third type of 6 m in diameter called Small Size Telescopes (SST). Altogether, CTA can detect with accuracy and sensitivity unprecedented gamma in a wide range of energy rays, which will provide a whole new view of the sky. The LST-1 has a reflective surface 400 m2 sustained by a structure of tubes carbon fiber and steel. It is 45 m tall and weighs about 100 tonnes. However, it is extremely agile, with the ability to reposition itself in 20 seconds to capture signals gamma-ray bursts (GRB, its acronym in English). Gamma rays generally very high energy that will detect the LST come from distant objects beyond our galaxy, as active galaxy nuclei (AGN, for its acronym in English). Boys (ORM), La Palma. Credit: Ivan Jimenez Montalvo. The LST project team consists of more than 200 scientists from ten countries. Japan, Germany and Spain are the largest contributors of LST consortium, which also includes France, Italy, Brazil, Sweden, India and Croatia. In Spain are part of the collaboration the Institute of Astrophysics of the Canary Islands (IAC), the Institut d’Altes Energies Physics (IHEP), the Center for Environmental and Technological Research (CIEMAT), the Institut de Ciències de l’Espai (ICE ), the Complutense University of Madrid (High Energy Group, UCM-GAE and Electronics, UCM-ELEC), the University of Barcelona (Departament d’Astronomia i Meteorologia, ICC-UB), the Port de Informació Científica (PIC) and the University of Jaen. In addition to the opening of the LST-1, and taking advantage of the presence in the palm of a large number of scientists from around the world dedicated to the study of astrophysics of high energies, they have organized various specialized meetings in this area of ​​research They will celebrate, throughout the week at the Hotel H10 Taburiente Playa de Santa Cruz de La Palma. On Thursday, 11 October, will take place on “Frontiers of Astroparticle Physics” symposium, with the participation of renowned experts, such as Nobel Prize in Physics 2015, Takaaki Kajita and scientist Planck project at the European Space Research and Technology Center (ESTEC), Jan Tauber, and the principal investigator of the CTA network in the IAC, Ramon Garcia Lopez, and the director of GTC, Romano Corradi. In addition, on Friday, October 12, will begin the course “Extreme Universe seen in gamma very high energy 2018 rays”, organized by the ICRR and the University of Tokyo, which will discuss the important role they play network CTA in the development of multimensajero astronomy and theoretical and observational aspects related to the study of the most energetic universe will be displayed. also, on 12 and 13 October, the meeting of the International Forum of Astroparticle Physics (APIF will be held for their acronym in English), organized by the Kavli Institute for Particle Astrophysics and Cosmology (KIPAC), the SLAC National Accelerator Laboratory and Stanford University.